Welcome to Perfection, where we aim to help make your special day PERFECT. 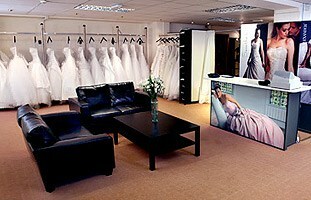 Call in to see us at our Swansea bridal shop and view our range of beautiful wedding dresses for your special day. In addition to our bridal range we also have prom dresses available. We have spacious showrooms over two floors, with private fitting rooms making it a pleasurable experience to look for that special gown. If you would like to make an appointment to view the dresses, please call our Swansea shop on 01792 399433.